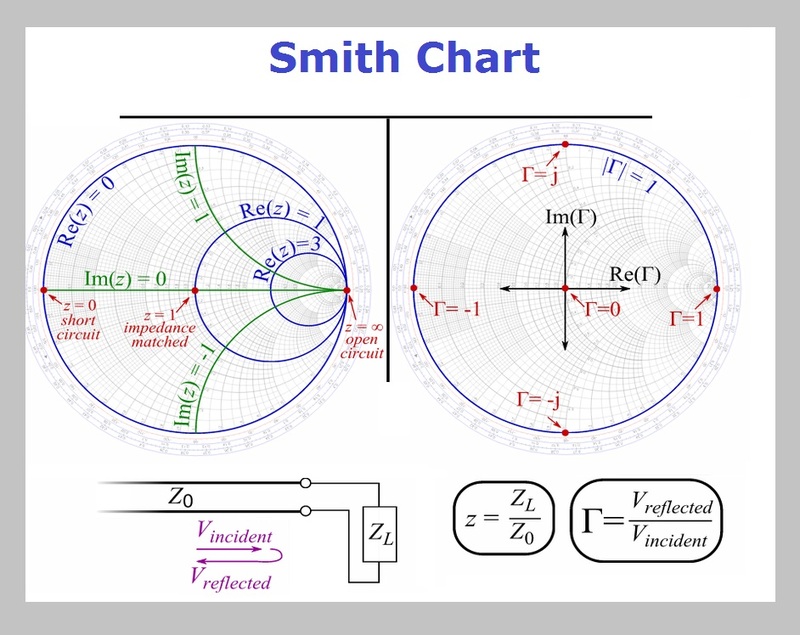 Smith Chart – Smith Diagram – Smith Graph – Smith charts are used as a graphical representation or a nomogram of a radio frequency (RF) to help engineers solve problems with transmission lines and circuits. See the impedance Smith chart below. Smith chart diagrams are radio frequency diagrams.